On June 19th Tepco reported the highest-ever readings of strontium-90 outside of the Fukushima plant ports. The readings were1,000,000 Bq/m3 of strontium-90 at two locations near water intakes for Reactors 3 and 4. Tepco has not been able to explain the spike up in readings. The prior highest readings were 700,000 Bq/m3. (Sourcehere). Strontium-90 is a byproduct of nuclear reactors or during the explosion of nuclear weapons, e.g., it is considered the most dangerous component of radioactive fallout from a nuclear weapon (Source: HyperPhysics, Dept. of Physics and Astronomy, Georgia State University). It is a cancer-causing substance because it damages genetic material (DNA) in cells. Strontium-90 is not found in nature. It’s a byproduct of the nuclear world of today, e.g., strontium-90 was only recently discovered, as of August 2014, for the first time ever, by the Vermont Health Department in ground water at the Vermont Yankee Nuclear Power Station (Source here). Coincidentally, Vermont Yankee, as of December 29, 2014, is being shut down. Because of the Fukushima nuclear meltdown, farmers in the greater area have had a tough go of it. For example, on June 6, 2013 Japanese farmers met with Tepco and government officials, including the official in charge of Ministry of Economy, Trade and Industry (Sourcehere). Well, sure enough, officials from New Taipei City’s Department of Health (Taipei, Taiwan), and other law-enforcement authorities, seized mislabeled products from Japan. It seems that “more than 283 Japanese food products imported from the radiation-stricken areas near the Fukushima Dai-ichi nuclear disaster were found to be relabeled as having come from other areas of Japan and sold to local customers,” Stephanie Chao, 283 Mislabeled Japanese Food Products Originated Near Fukushima, The China Post, March 25, 2015. Meanwhile, within a couple of months of the illicit underhanded devious mislabeling incident, Taiwan Enforces Stricter Controls on Japanese Food Imports, J.R. Wu in Taipei and Ami Miyazaki in Tokyo, Reuters, May 15, 2015, as Taiwan draws a line in the sand for Japanese foodstuff. Not only that but on the heels of Taiwan’s discovery of the mislabeling gimmick, and only three months later, Japan Asks China to Ease Food Import Restrictions Introduced After Fukushima Nuclear Disaster, South China Morning Post, June 25, 2015. Previously, China banned food imports from ten prefectures in Japan, including Miyagi, Nagano, and Fukushima. Now, this past week, Japanese authorities are asking China to remove the restrictions. Japan would be wise to suggest China first consult with the United States because confidently, audaciously, imperturbably Secretary of State Hillary Clinton allegedly signed a secret pact with Japan within one month of the meltdown for the U.S. to continue importing Japanese foodstuff, no questions asked, Deborah Dupre, Radiating Americans: Fukushima rain, Clinton’s Secret Food Pact, Examiner.com, August 14, 2011. Meantime, Chancellor Merkel (PhD, physics) ordered a shutdown of nuclear power plants throughout Germany, hmm. Fukushima and its Ocean Impact, according to Dr. Ken Buesseler, Senior Scientist, Woods Hole Oceanographic Institute, March 11, 2015, cesium uptake in the marine food web is diluted, for example, when Bluefin tuna swim across the Pacific, they lose, via excretion, about one-half of the cesium intake that is ingested in Japanese waters. Woods Hole Oceanographic Institute’s findings are not sufficient to dismiss health concerns for many reasons, among of which Fukushima is white hot with radioactivity, tenuously hanging by a thread, extremely vulnerable to another earthquake or even an internally generated disruption, who knows? It is totally out of control! The California Coastal Commission issued a report that agrees with the low levels of Fukushima-derived radionuclides detected in air, drinking water, food, seawater, and marine life in California; however, “it should be noted that the long-term effects of low-level radiation in the environment remain incompletely understood….” Report on the Fukushima Dai-ichih Nuclear Disaster and Radioactivity along the California Coast, California Coastal Commission, April 30, 2014. “The risk of long-term exposure to low-level radiation is unclear. Studies of radiotherapy patients and others indicate that there is a significant increase in cancer risk if lifetime exposure exceeds 100,000 microsieverts, according to the World Health Organization. A person exposed daily to radiation at the high end of the levels now seen at Miyakoji [a village in Fukushima Prefecture] would reach that lifetime exposure level in fewer than 23 years,” Patrick J. Kiger, Fukushima Return: At Nuclear Site, How Safe is Safe? National Geographic, April 2, 2014. Current Status of Fukushima Nuclear Site, according to Dr. Ken Buesseler of Woods Hole Oceanographic Institution, who travels to Japan to measure radiation levels: The site continues to leak radioactive materials. In fact, release of strontium-90 has grown by a factor of 100 when compared to 2011 levels. In other words, the situation is worsening. One hundred times anything is very big, especially when it is radiation. Comparison analysis of Three Mile Island (1979), Chernobyl (1986), and Fukushima (2011): The world’s three most recent nuclear disasters are dissimilar in many respects. However, all three are subject to the same adage: “an accident is something that is not planned.” Thus, by definition, in the final analysis, the risk factor with nuclear power is indeterminate. Fukushima is proof. To this day, tens of thousands of people affected by Chernobyl continue to suffer, and die, begging the question of whether Fukushima could be worse. After all, the incubation period for radiation in the body is 5-to-40 years (Caldicott). As for example, it took 5 years for Chernobyl children to develop cancer (Caldicott), and Fukushima occurred in 2011. John Vidal, environmental editor, The Guardian newspaper (UK), traveled to Chernobyl: “Five years ago I visited the still highly contaminated areas of Ukraine and the Belarus border where much of the radioactive plume from Chernobyl descended on 26 April 1986. 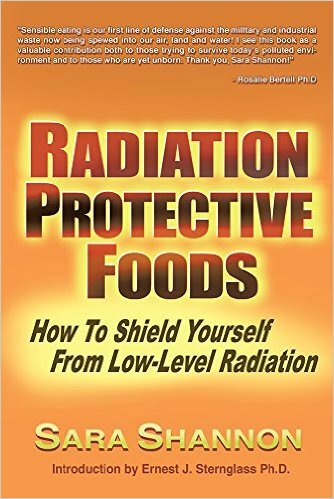 I challenge chief scientist John Beddington and environmentalists like George Monbiot or any of the pundits now downplaying the risks of radiation to talk to the doctors, the scientists, the mothers, children and villagers who have been left with the consequences of a major nuclear accident. It was grim. We went from hospital to hospital and from one contaminated village to another. We found deformed and genetically mutated babies in the wards; pitifully sick children in the homes; adolescents with stunted growth and dwarf torsos; fetuses without thighs or fingers and villagers who told us every member of their family was sick. This was 20 years after the accident, but we heard of many unusual clusters of people with rare bone cancers… Villagers testified that ‘the Chernobyl necklace’ – thyroid cancer – was so common as to be unremarkable,” John Vidal, Nuclear’s Green Cheerleaders Forget Chernobyl at Our Peril, The Guardian, April 1, 2011. There’s more: “Konstantin Tatuyan, one of the ‘liquidators’ who had helped clean up the plant [Chernobyl], told us that nearly all his colleagues had died or had cancers of one sort or another, but that no one had ever asked him for evidence. There was burning resentment at the way the UN, the industry and ill-informed pundits had played down the catastrophe,” Ibid. And still more yet: According to “Alexy Yablokov, member of the Russian Academy of Sciences, and adviser to President Gorbachev at the time of Chernobyl: ‘When you hear no immediate danger [from nuclear radiation] then you should run away as far and as fast as you can’… At the end of 2006, Yablokov and two colleagues, factoring in the worldwide drop in births and increase in cancers seen after the accident, estimated in a study published in the annals of the New York Academy of Sciences that 985,000 people had so far died and the environment had been devastated. Their findings were met with almost complete silence by the World Health Organisation and the industry,” Ibid.